The public’s supply of drinking water typically originates from wells, lakes and rivers. However, this introduces a wide variety of waterborne constituents that need to be addressed through proper treatment in order to meet drinking water standards. With water in short supply, expert technicians are needed for treatment to ensure it is safe for human consumption. 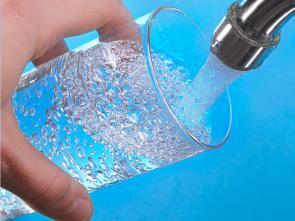 Synergy Water Solutions is an industry leader in potable water treatment systems. We offer a full line of NSF approved treatment products for potable water systems. Our water treatment chemicals and products will improve your process by preventing pipe corrosion as well as the outbreak of diseases (Legionella, E.coli, etc). This is achieved through state of the art pretreatment equipment and treatment chemistries which are designed to meet or exceed the strictest drinking water quality standards and produce quality potable water. Clean drinking water is vital to our lives. At Synergy Water Solutions, we take great pride in making sure high quality water is available at the lowest cost and lowest possible damage to the environment.